Amazon said Thursday it had narrowed to 20 its options for a second headquarters for the sprawling technology and lifestyle company headed by Jeff Bezos, the world's richest individual. After 238 cities from North America submitted bids, Amazon announced its short list included three in the vicinity of the US capital Washington, and the Canadian city of Toronto. "Thank you to all 238 communities that submitted proposals. Getting from 238 to 20 was very tough – all the proposals showed tremendous enthusiasm and creativity," said Holly Sullivan of Amazon Public Policy. "Through this process we learned about many new communities across North America that we will consider as locations for future infrastructure investment and job creation." The new list included Washington—where Bezos has a residence and owns the Washington Post newspaper—but also the suburban areas of "northern Virginia" and Montgomery County, Maryland. New York City was also on the list, as was the nearby city of Newark, New Jersey. Other cities in the northeast included Boston, Philadelphia, Pittsburgh and Raleigh, North Carolina. From the southeast, Atlanta, Miami and Nashville, Tennessee also made the cut. Chicago, Indianapolis and Columbus, Ohio were the Midwestern cities on the list of candidates. Amazon also selected Denver, Los Angeles and two Texas cities—Dallas and Austin. 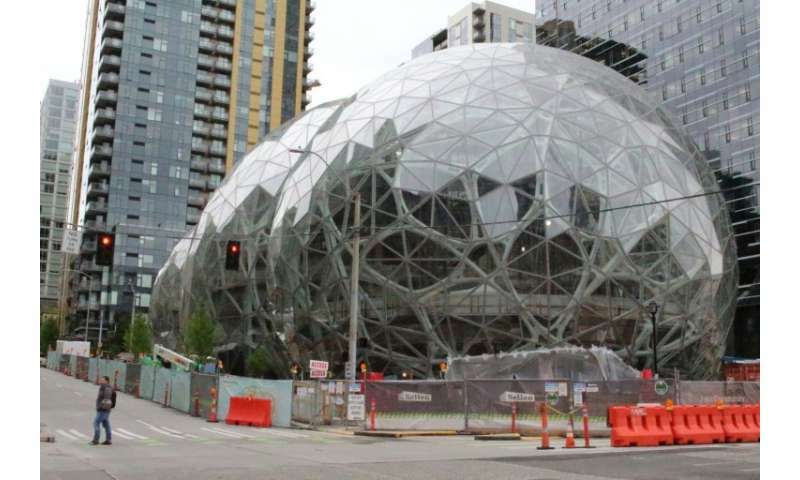 Based in the northwest city of Seattle, Washington, Amazon announced in October it was looking for a second headquarters—dubbed HQ2—which would get an investment of $5 billion and create at least 50,000 jobs. Cities from around North America, including in Canada and Mexico, offered big tax incentives to win the bidding. Amazon has expressed a preference for places with more than one million people, a business-friendly environment and urban or suburban locations able to attract and retain strong technical talent. A final selection is expected sometime in 2018. "In the coming months, Amazon will work with each of the candidate locations to dive deeper into their proposals, request additional information, and evaluate the feasibility of a future partnership that can accommodate the company's hiring plans as well as benefit its employees and the local community." Created by Bezos 20 years ago, Amazon has grown from a online bookseller to a multifaceted global retailer, a major player in cloud computing and a major streaming media operator. It also produces electronic devices which use its artificial intelligence assistant Alexa, and last year acquired the Whole Foods grocery chain. It has 540,000 employees worldwide.